what do those numbers mean?!?! 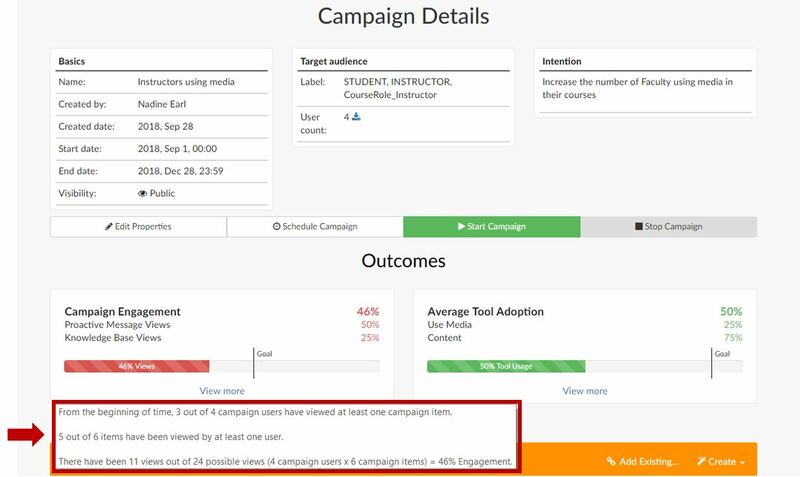 While many of you liked the new Outcomes features in the Campaigns, we realized that the calculations for the Campaign Engagement and Average Tool Adoption percentages were not quite clear. To make things easier, you can now hover over each of the percentages in both the Campaign Engagement and Average Tool Adoption sections to see the numbers that are used to calculate them. In addition to hovering over the percentages, you can also hover in each box to see a tool tip which gives an in-depth explanation of where the numbers are coming from to calculate the Campaign Engagement and Average Tool Adoption percentages. 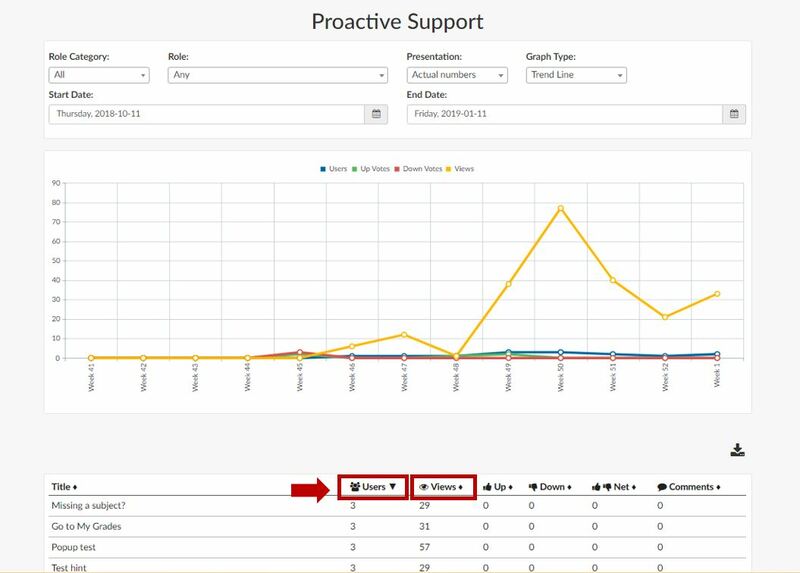 A few New Feature Fridays ago, we introduced a new column of data called Views to the Proactive Support and Knowledge Base Reports. This column reflects the total number of views for a message or knowledge base help item. However, we promised that we would also add a new column to show the number of unique users who have viewed the help items as well. That column called Users is now available! This latest version is not fundamentally different from the 2.2.0.248 version; however, we had a customer who experienced a block from downloading the last version of the producer so we have issued this new one. You should automatically be prompted to update to the 2.2.0.249 version when you open the producer, but if you need to download it from a link, please click on the button below. Last but not least: Lots of fun at DURBBU! 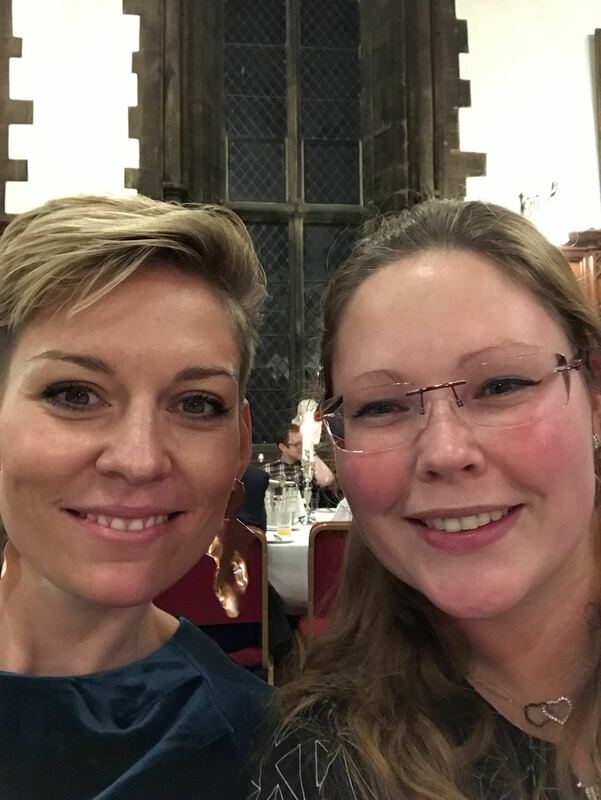 Last week, Michel and Mieke attended the Durham Blackboard Users' Conference at Durham University in the United Kingdom. It was great to see our friends from Aarhus University, National University of Ireland, Galway, University of Liverpool, and the Norwegian University of Science and Technology. A very special thank you goes to Anna Hollyoak Helleberg from Aarhus University for presenting with us at the event! We hope you like the latest and greatest features! We rely on your feedback so if you have any questions or suggestions, please let us know. Please continue to use Receptive to make suggestions and vote on features you would like to see us develop in the future.